When I look over at Brayden as he is talking to me, I see a child. Not a little child, not a preschooler, not a little one at all. I see a child. A child missing several teeth (we call him toothless these days). A child with mature concerns. As we have come up on his birthday season, I have reflected on his birth and those early weeks with him and just really can’t believe he is a seven year old little guy. These last few months have really been idealic with Brayden. He seemed to get an extra boost of maturity or something. He has become so great with his sisters. He was great before, but he has matured into putting their needs, wants, and desires before his own. One day, he was watching a show on TV. I went into McKenna’s room to get her up from her nap, and when I came out with her, he had stopped his show and started her favorite show. It was such a sweet moment. She actually likes the show he was watching just fine and I am sure she would have sat and watched it without complaint, but he decided to stop his own show and turn on her very favorite. He has been doing so many sweet big brother things like this. I think that something that has influenced this sweet behavior was us finding out the next baby would be a girl. He was very disappointed. He wanted a brother so strongly and he had even picked out a name for his brother. We really pondered and prayed over how to help him to be excited to have a sister. One thing we felt we should stress was that he got to be the big brother and protector of all of these sweet sisters. We pointed out how much his sisters love him and look up to him and that he could be counted on to always be there for them. I think that has made him think more about that role and he has really embraced it. Eating is good with no big news to report. Sleeping is also good with no big news to report. Oh, I guess something of interest is something we noticed when he was two. Brayden will wake up with night terrors if he is too hot at night. Now that he is older, it is funny because he has zero memory of it happening the next day. This was often an issue in our previous home because his room was really hot. In our current home, his room is not so it has never been an issue here until recently. That is because it has been warm plus he thinks he needs about ten blankets on at night. We have been removing blankets to have as many as he can handle without night terrors. I think we have found it. He has had a couple of times of growing pains in the last few months. Things at school have been going very well. He is in the last few days of school now for the year. He was recognized for his citizenship for the month of April and received an award and best of all, got to eat lunch with a deputy. I don’t know if all children are like this, but my children love police officers. They are celebrities to my children. One day, we saw some eating lunch at the same place we were eating lunch, and the kids stopped and stared at them in awe. They were nice and smiled and said hi and even Kaitlyn was too starstruck to say more than “hi!” and giggle. So this was a great reward for Brayden. There have been several times recently that Brayden has had nice notes from school. They have done nice notes for various reasons (one includes birthday). Something I have noticed as a common trend is he always gets comments that he lets everyone play and that he will tell someone who is bullying to stop. Those comments just warm my heart as a mom! I love that he is known for being someone who accepts everyone and even someone who stands up for people. That willingness definitely stems from his “bossy” nature. It just goes to show you that pretty much any quality can be used for good. You don’t want to squash innate qualities in your children–you just want to harness them in the right direction. He has been working so hard on not being bossy, but has no problem standing up for people who need it. He has also been getting far ahead of his class during what is called “self-start” time, so his teacher has had him reading books and testing on them. She let him start out with first grade level books that he could read in about 20 minutes. Then she wanted him to move up to more difficult books. He went up to fourth grade level, took several days to read the book, and still scored 100% on the test. You all know how much I love and value reading, so you know that is something that makes me happy, too. Like I said earlier, he has been so great at home. He is working so hard to do everything right that he should. He does things without being asked (like get ready for bed). He is kind to his sisters. He is helpful around the house. He jumps in and helps where he sees a need. He also recently spoke in primary and wrote the talk all by himself. I was worried, but didn’t intervene. He did a great job! He even had a thesis statement, supporting information, and ended on a thesis statement again. I couldn’t have organized it better myself. He also bore his testimony in church by himself and did a great job (this was another terrifying moment for me–children can be so unpredictable!). Things are just going well right now. Brayden is trying his very best every day to be the best he can. That isn’t to say we never have to correct him, but overall, things are just serene. This has been a period in parenting where you see efforts come to fruition and it gives you strength to carry on and continue efforts into the future. A goal to set for Brayden now to work on would be contentment. Some people have a natural propensity for being happy for what they have while others seem to more look at the one negative among the 10 positive things. Brayden often will have moments like this. I am not sure if it is a personality thing at this point or a maturity thing. So we are working with him to learn to see the positive and to be optimistic. Optimism is a great skill and really helps make people happy. There is so much to be grateful for, even when there are hard times. Favorite toy is still, hands down, Legos. We are still reading the same series. I should add he also reads various picture books as well as science books. I don’t want to post a detailed schedule of his day on the internet, so I will do generalities. Right now, he has baseball and swimming lessons. 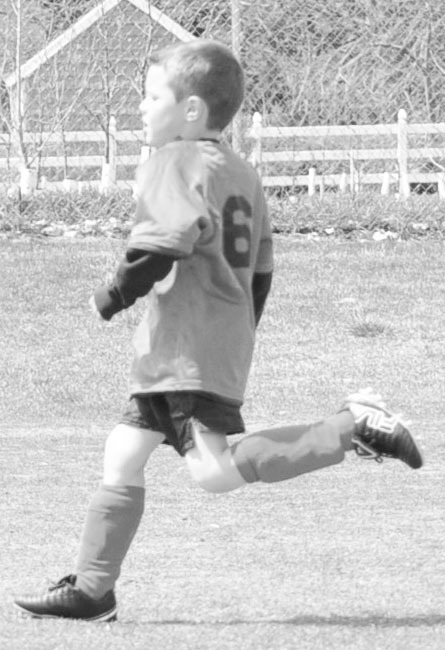 We recently finished up piano lessons for the summer and just finished a season of soccer. Next Post Poll Results: DO YOU DO FORMAL LEARNING TIME AT HOME? You are welcome! We quickly knew because my husband was the same way as a child and he remembered that. I don't know how long it would have taken us to figure out if my husband wasn't that way. wow, this is so great to hear! It sounds like Brayden is growing up into a fine boy and you must be proud! I love hearing about them as they get older and really love these updates. I'm curious on 1 thing though since he just turned 7 and seems real active. Have you noticed a drop in sleep this past year or not? My friend said the principal at her school said K-5 should have at least 10-11 hours of sleep a night so that's up to age 10ish. I kind of believe it, especially in extra activities but think it's harder to do with the extra activities and staying up later as they get older like friends,etc….ie a more "age approriate bedtime" (which is sujbective, lol) Do you do a short rest time at all on the weekends or not? Do you just have him do something like video for your downtime while the girls nap?Anyways sounds like he's doing great! Let me tell you, a child who is a rule-follower is the easiest child to parent because they basically parent themselves. Teachers at school only help the process :)He has a traditional face clock. He has been reading it since he was four (maybe 3.5?). He just naturally wakes up (I am the same way). I think the 10 hours extends even beyond the fifth graders if I remember right. I will have to read up on that–but it is important forever. It does only get harder to have a reasonable bedtime as your child gets older. Most definitely. It takes a respect for the importance of sleep as well as conscious effort to have bedtime right. An interesting read I recently read is "Nurture Shock." Each chapter is on a different topic. One of the first is on the profound importance of sleep. You would be interested in it. LOVE the book.Our school starts at 9 AM–so even a late sleeper can get the 10 hours pretty easy. But I think 6-7 grade starts at 7 AM–that will be a challenge! Another catch-22 with the sports and sleep is that they often need more sleep due to the physical exertion. Instead they get less because games go late. Our soccer games were all early though. And basketball was all Saturday mornings. It is just baseball, and they had only two games during the school year.